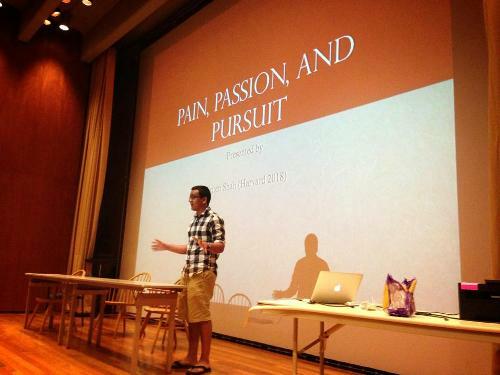 Priten H. Shah is a Harvard University student who is also the CEO of Pain, Passion, and Pursuit Inc. (http://painpassionpursuit.com/) and the founder and executive director of Teach to Learn Foundation (http://teach2learnfoundation.org/). 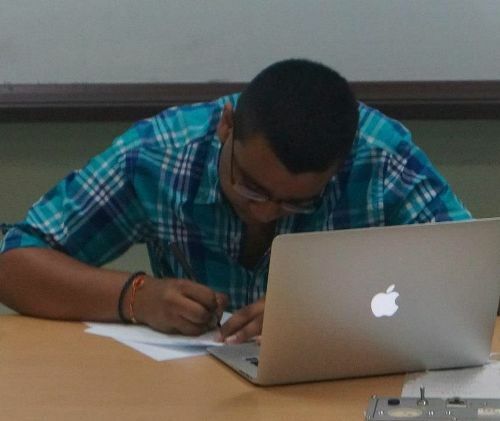 Through his company “Pain, Passion, and Pursuit,” he works on various projects to increase social awareness, such as “United 4 Social Change” (http://united4socialchange.com/), a medium for writers to express their views on topics of importance and to help spur social change using journalism. Teach to Learn Foundation aims to increase educational opportunities for the underprivileged through the use of technology. Shah is a big advocate of education and hopes to inspire all to be academically and socially conscious. AK! : Can you please tell us a little bit about “Teach to Learn Foundation,” “United 4 Social Change,” and “Pain, Passion, and Pursuit”? Priten H. Shah: The Teach to Learn Foundation is a non-profit organization that I founded to help increase access to education. The concept it is built on is that students helping other students benefits everyone. The students who are helping can reinforce their own knowledge and those being helped are gaining new knowledge. I am excited that we are able to help so many people through it! Pain Passion and Pursuit is my personal company that I use to work on various projects. Mainly, I handle college admissions projects through it, such as my book on College Admissions and my website P3GetAccepted. P3 is also the official owner of United 4 Social Change, which is a platform for writers to express viewpoints on various issues of social justice. Writing has led to change in every country during every century, and it will be key to future progress as well. U4SC’s goal is to lead the the future waves of change. AK! : What inspired you to create all of those projects? Do you have any new projects you’re working on for the future? PHS: I love to try new things and I love to help others. I usually keep those two goals in mind when I work on a project. Each project has its own inspiration and I love that I have the support of great people to make it come to life. As far as future projects, I am currently quite booked, but I definitely have some things that I’d like to work on when time frees up. We’ll keep them a secret for now though! AK! : Can you tell us a little bit about your book Just One Degree: Hit the Melting Point of Top Colleges? What do you think is the single most important factor of getting accepted into top colleges? PHS: I wrote the book right after I got accepted because I felt that I had done way too much reading and research to learn how to properly showcase myself to colleges. I wanted an easier and simpler book that left out the extra details to help students (who have limited time) quickly learn how to approach college applications. The single most important factor is loving what you do! I know that sounds cliché, but throughout my book I talk about how you can apply your passion to each part of the college admissions process. Passion is how you hit the melting point! AK! : You are the founder of so many companies and foundations, you wrote a book, and you are also a student at Harvard University. How do you manage your time between all of your obligations? PHS: When you love what you do, you never feel tired, so it’s easy to make the most of your time. I only work on things that I’m passionate about, so it works out really well in terms of getting things done and maintaining sanity. You also learn to prioritize really well and work faster when your plate is full, which is why I love to keep heaping on more things. AK! : For the kids out there who wish to get involved in “Teach to Learn” or “United 4 Social Change,” how can they participate? Also, do you have any advice for kids who wish to start their own charities or to make a difference in the world? PHS: I love to have more students who work with me and the easiest way to get started is to contact me! We can use more tutors and volunteers for Teach to Learn and writers are always welcome to contribute on United 4 Social Change. My email and phone number are all over the Internet and on my personal site (PritenHShah.com), so anyone and everyone should feel free to get in touch. There is always something for kids to do to help them achieve their potential. It’s really easy to make a difference in the world, once you realize what you are capable of. Never think that you are too young or inexperienced, because there are so many resources out there to help you succeed. The best part about the paintings of our lives is that we are the painters! We can choose the colors, the materials, and each and every stroke. So it’s important that you find someone who can guide you, always keep learning, and give it your best! AK! : Did you have any mentors along the way who have inspired you and helped you to be where you’re at? Can you please tell me a little bit about them? PHS: I had many people in my life who have provided support and guidance, from my parents, teachers, and debate coach to peers and siblings. The most important thing I have learned so far is that you should never stop learning! Anyone and everyone has something unique they can teach you and you should take advantage of that. The short answer to your question is that everyone is my mentor.